The opening number from Beauty & the Beast is running through my head. Why? In that song, Belle wanders through town on the way to the library, encountering many people she has known since childhood. 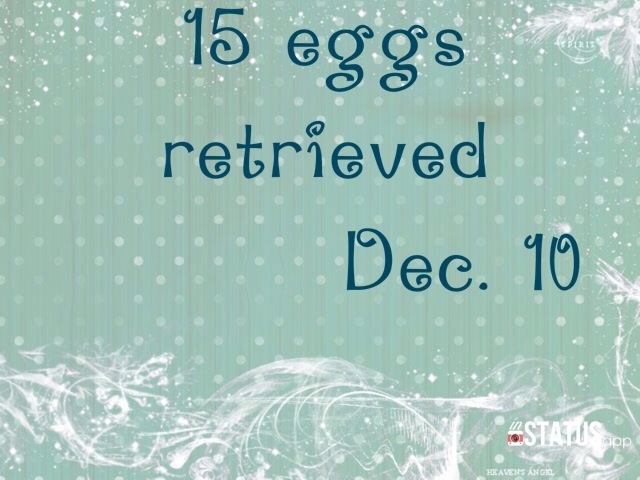 At one point, a frantic woman runs across yelling, “I NEED SIX EGGS!!!. Well that’s how many eggs were retrieved today. And since I heard this news, I have had this song in my head. I would be lying if I said I was thrilled with this number; of course I was hoping for more. But I also know that I am lucky to have 6, and that it only takes one good quality egg. So I’m staying hopeful and optimistic and eagerly waiting I hear about the fertilization tomorrow. I just can’t believe my retrieval is tomorrow morning!!! Of course there are the expected feelings: nervous, excited, hopeful. Tomorrow we will have an answer to the important question: How many eggs? (Then of course there will be some waiting before we know how many of those fertilize). But at least we get some info tomorrow. ER day is a big day in the life of an IVFer and I just can’t believe it’s tomorrow!!! A little anxious about getting R’s sample to the clinic within the allotted hour; we can’t hit any traffic if we are going to make that happen. He just can’t, well, “produce” as they say at the clinic, unless he’s home, and of course I don’t want him to feel any unnecessary pressure. I do feel bad for the guys when it comes to producing on command!!! Last but not least, I am a hoarder of comfy socks. My sister knows this and bought me this awesome pair a while back. I’ve been saving them for a special occasion, and tomorrow definitely qualifies. Oh, and PS as a follow up to yesterday’s vent post about R, we had a little chat. Well, first I was completely passive aggressive but then I explained what I was feeling. He was understanding and I realized that I was fine with him going to work for a few hours once I had that reassurance from him. 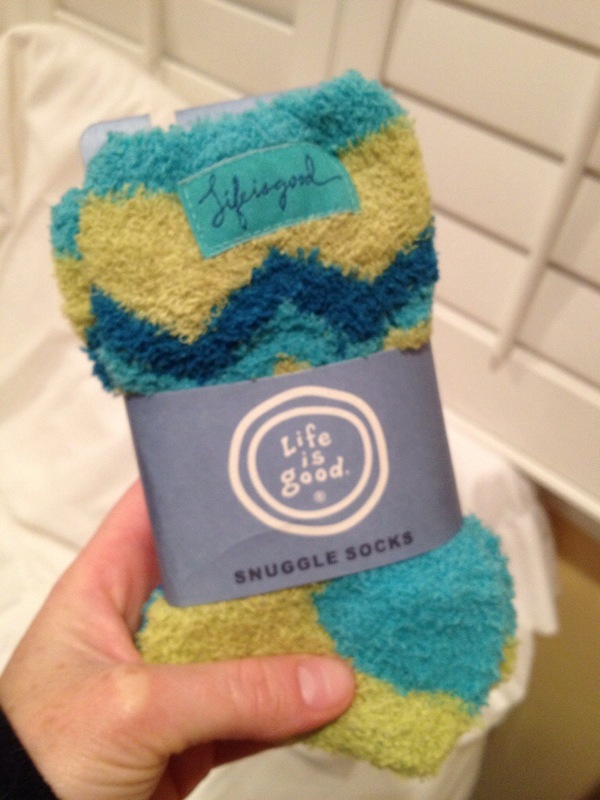 So, like the socks say… Life is Good.